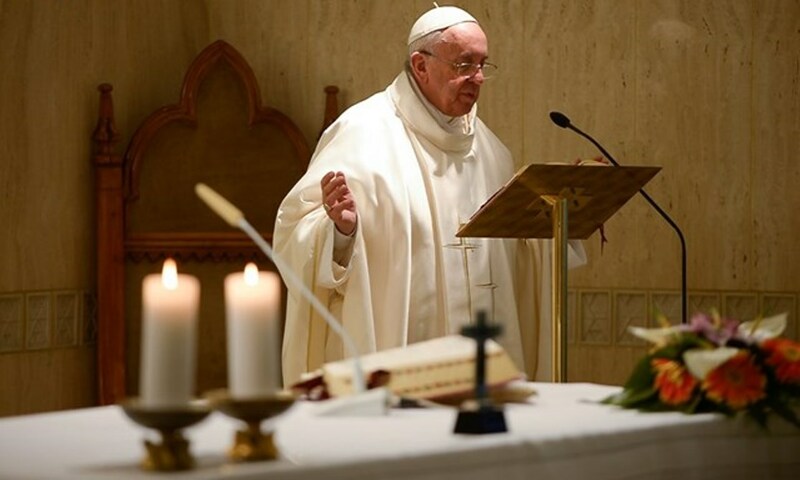 During his daily morning Mass at Casa Santa Marta, Pope Francis stressed that those who have this mentality of–‘but this is how it’s always been done’–deprive themselves of having meaningful lives and close themselves to the Holy Spirit’s surprises, reported Vatican Radio. The Pontiff drew inspiration from today’s reading in which Saul was rejected by God as King of Israel because he disobeyed, preferring to listen to the people rather than the will of God. After winning a battle, the people wanted to offer a sacrifice of the best animals to God, because, he said, “it’s always been done that way.” But God, this time, did not want that. Also in the Gospel, the Pope added, Jesus teaches us the same thing. When the doctors of the law criticized Him because His disciples did not fast “as had always been done,” Jesus responded with examples from daily life which illustrated that to continue certain habits doesn’t make sense. Francis clarified that this is not Jesus changing the law, and that man must have an open heart because the law is at the service of man, who is at the service of God. If you have a heart closed to the newness of the Spirit, you will never reach the full truth, and this was Saul’s sin, the Pope stressed. “Christians who obstinately maintain ‘it’s always been done this way,’ this is the path, this is the street—they sin: the sin of divination,” he said. Given this, an “open heart” is what is needed, “a heart that will not stubbornly remain in the sin of idolatry of oneself,” imagining that my own opinion is more important than the surprise of the Holy Spirit.